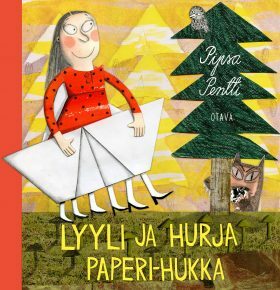 A charming picture book about timid Lyyli, whose resourcefulness gets her through the trickiest of situations. Will Lyyli manage to rescue the princesses she has drawn from the fierce Paper Wolf with nothing but paper? Lyyli often draws princesses. Princesses who are brave, like she would like to be. When the greedy, mean Paper Wolf captures the princesses, Lyyli forgets her fears and sets off on a rescue mission. A bit of paper and a touch of resourcefulness will get you further than you think, and suddenly Lyyli finds herself to be as brave as her princesses. And she’s brimming with resourcefulness.